How 4,000 Italian troops surrendered to a young Jewish pilot from the East End of London, during WW2. In June 1943 a young Jewish RAF pilot from the East End of London was forced to make an emergency landing on the Italian island of Lampedusa. The Italian forces stationed there promptly surrendered to him. He told his story to the BBC ,and soon he was a hero back home. A musical about his story even became a hit in London. Daniel Gordon has been listening to the BBC's archive, and talking to Arnold Schwartzman who made a film about Flight Sgt Sydney Cohen. 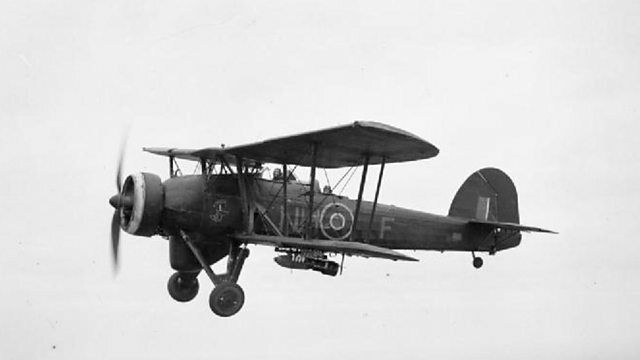 Photo: A Swordfish bi-plane, the type of plane that Sydney Cohen was flying when he landed on Lampedusa. Credit: Alamy.